Zohar Vayetze is available on the phone. Share this phone number with people that don’t have Internet connection. Zohar Toldot is available on the phone. The sages in the Midrash tell us that when the angel of the other side (left column system, Sam–ael), saw that he lost the soul of Yitzchak, he went to Sarah and told her that Yitzchak was slaughtered by Avraham and sacrificed to G-d.
Sarah cried six times, three to connect to the lower three Sefirot and three to the upper three Sefirot. Her soul left her body and she died. She was 127 years old. The Torah tells us that she died in Kiryat Arba (meaning city of four) and continues immediately and explains that Kiryat Arba is Hebron. The root word is ” חֶבְר ” and it means connection of two sides. So what is the city of four and what is the connection that is referred here. The great Torah commentator, Rashi, explains that the name is after the four couples that are buried there, Adam and Eve, Avraham and Sarah, Yitzchak and Rivka, Yaakov and Leah. Rachel is in Bethlehem on the way to Jerusalem but the reason for that is related to the coming of Mashiach and I will explain this in another article. Avraham found the cave in the fields that belongs to Efron. He could see the image of Adam and Eve. He also saw that they were buried by the entrance to the Garden of Eden that was in the cave of Machpelah (from the root word ” כפל ” ‘double’ in Hebrew). That was the reason why he wanted to have ownership of this place. He was ready to pay any price and he did pay the full price. His intension was to give us, the future generations, the connection to the tree of life. The patriarchs and the matriarchs that are buried there protect the entrance to the Garden of Eden for us until the time of the resurrection of the dead. The Zohar of this parasha dedicates a lengthy article about the resurrection of the Dead. When we read the above, we get a hint to the underlying power that is revealed in this parasha. The ten spiritual giants who are buried in the ‘cave of the double’, in Hebron , signify the importance of the place and the connection between the upper and lower. The Zohar refers to the Machpela as the place of connecting upper and lower Jerusalem . Avraham bought the land form Efron. His name comes from the word ” עפר “, which means dust of the earth. The numerical value is 350. Efron is written in the Torah as ” עֶפְרוֹן ” When Avraham paid him for the field and the cave (Genesis 23:16 ) his name was written as ” עֶפְרֹן ” with the letter Vav missing from the name. That makes the numerical value of 400, the exact amount Avraham paid for his purchase. The commentator “Baal Haturim” also mentions that ” עֶפְרֹן ” has the same numerical value of ” עין־רע “, “evil eye”. We learn a great lesson from this transaction. When we pay the full price, we take ownership and remove any negativity from the deal. Avraham took the Vav from Efron, that letter represents the pipe and the connection of upper and lower. At the same time he controlled Efron’s evil eye. The Zohar tells us a story of King Solomon that one day he took control over the king of demons. King Solomon asked him what is the best advice he can give him and the answer was “Pay full price to avoid the negativity from coming in”. Avraham established control over the gates to the Garden of Eden and bridged the gap between death (our world, Tree of Knowledge Good and Bad) and life (Garden of Eden and Tree of Life). This is the reason the Zohar talks a lot about the system of death and resurrection of the dead in the discussion of this parasha. One important point from the Zohar is about the existence of the special bone in a body named ” עצם־הלוז “. This bone is not connected to or fed by the body. It is a tiny bone in an unknown place between the head and the body. There are several opinions to the actual place but the Ari (Rabbi Isaac Luria) and Rabbi Avraham Azulai said that its place is at the base of the neck. It could not be anywhere else because the head represents the top three Sefirot (Keter Chokmah and Binah) and the body connects to the lower seven Sefirot. The Zohar explains that when the special dew ” טל ” (The deeper meaning is the ” יהו ” in Milui or ” יוד־הא־ואו “), will come down from heaven (upper three Sefirot), it will touch the neck bone and will get soften and expand to four directions to form the body anew. The Zohar also describes that G-d took dust ” עפר ” from the earth and spread it to four directions to create Adam. When it says ” כי-עפר אתה, ואל-עפר תשוב ” “for you are dust, and unto dust you shall return.” we see the past and the future. It doesn’t say into the ground as in death of the body, but to ” עפר “, which is the seed of its creation and its resurrection. We learn from the Zohar that the neck bone ” עצם־הלוז ” (numerical value is 248), is the starting point in creating Adam’s body. ” עפר ” (dust) also appears first time in the creation of Adam. Genesis 2:7 ” וַיִּיצֶר יְהוָה אֱלֹהִים אֶת-הָאָדָם, עָפָר מִן-הָאֲדָמָה ” “Then G-d formed man of the dust of the ground”. That dust is the seed of the physical body encapsulate into the neck bone ” עצם־הלוז “, which is immortal. It will stay until the resurrection of the Dead. It is interesting to know that babies are born with 350 bones in their body. 350 is the numerical value of ” עָפָר “, dust. As the baby grows to become adult, many bones fused together to form 206 bones and 42 joints and together 248. It is the same numerical value as Avraham and ” עצם־הלוז ” (neck bone). ” עפר ” is ” ע ” = 70 + ” פר “= 280 = ” םןץףך “. Some of you will understand this but the main point is to understand that Avraham bought more than a piece of real estate; he bought a future for us. 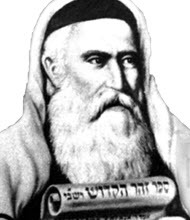 In few days, on the 24 th of Mar Cheshvan, is the Hillulah of Rabbi Avraham Azulai, a great Kabbalist who was born in Morocco , lived and died in Hebron . He had the opportunity to get into the Garden of Eden and come out alive. In his book “Chessed L’Avraham” he reveals many Kabbalah Secrets. I will send a separate email related to this. Avraham is the chariot (Channel) to the sefirah of Chessed (loving, kindness). Chessed is the first revelation of the Light in this world. The Zohar explains in Genesis 2:4 ” אֵלֶּה תוֹלְדוֹת הַשָּׁמַיִם וְהָאָרֶץ, בְּ הִ בָּרְאָם ” that the word ” בְּ הִ בָּרְאָם ” which means “when they were created” has the same letters as ” בְאַבְרָהָם “. The world was created with Chessed and by the merit of Avraham. What makes Avraham so special? We can find one of the reasons in the above verse from Genesis 22:2. When G-d “Tested” Avraham he instructed him to take his son to the land of Moriah and offer him there on one of the mountains. We all know the story. Some years ago I heard a taped lecture by Rabbi Yitzchak Ginzburg and he refers to this verse as a dialog between G-d and Avraham. Avraham: I have two sons. G-d: The one that you loved. Avraham: I love them both. This interesting conversation teaches us that Avraham had built in him unconditional love. He treated everyone equally, he was known also as a great host. Everyone was welcome in his home. Ishmael was his son from his wife’s servant, yet he treated him as equal. Because he was able to accept the light of the creator unconditionally and share it with everyone, he merited to be the chariot to the sefirah of Chessed. He is the one that opens the gate of prayers for us. All major prayers begin with Avraham, Isaac and Jacob. They are the three lead chariots of the Light to this world and Avraham is leading. To open the upper gates for the Light to flow into our lives, we need to be like Avraham, practicing unconditional love and sharing. One of the great lessons I learned from the Zohar is related to Avraham and it gives us understanding and power to have the unconditional love. The Zohar tells us that Terach, Avraham’s father, was a negative person and idol worshiper. His son established a connection to the light to flow down to our world. If we were to think that the world would’ve been a better place without him then we are wrong. We never know what would come out of a person. We should never think about killing someone, but send them love and light. A change or transformation comes with light, not darkness. Terach changed himself, left idol worshiping, turned to be a positive and loving person shortly after Avraham was born. There is a special dot above letter ” וּ ” of the word ” וּבְקוּמָהּ “. The four letters ” קוּמָה ” is the same as ” מקוה “, Mikveh, which is a special water pool that cleanses spiritually. ” ו ” is the letter that channels the Light to the world. The dot puts this particular one on a higher level. This word is also related to the time when G-d will rise to remove all negativity from the world. ” קוּמָה יְ ק וָ ק , וְיָפֻצוּ אֹיְבֶיךָ, וְיָנֻסוּ מְשַׂנְאֶיךָ, מִפָּנֶיךָ ” (Numbers 10:35 ). You may think that Lot ‘s daughter made a terrible act but the result was not so. Rav Berg, commented on that and said that the older daughter saw the destruction of Sodom and Gomorra as the destruction of the whole world. Her mother had turned to stone earlier and she believed that with her action she will save the world by creating continuation. That consciousness merited her to have a son that from his seed, Mashiach will come. Let us hope it will be today, Amen. This is a link to the section from Siddur HaAri that shows the different meditations. The text is in Hebrew and Rashi style letters.